Whoever said doodling is only for kids? Even adults do it all the time especially when we’re stuck in a talk or meeting and our hands become restless tools of creativity. In today’s tutorial, I’ll show you how to create a super easy yet fun doodle pattern using Adobe Illustrator and a graphics tablet. Let’s begin! 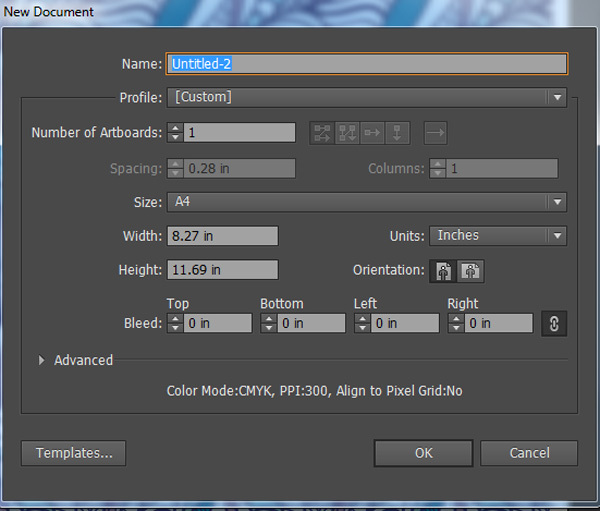 Open a New A4 Document in Adobe Illustrator. In order to create this doodle, we’ll be freehand drawing for each section . Make sure to have a graphics tablet on hand since it’ll help to emulate the feeling of drawing on paper. You could also try this with a standard mouse, but just make sure to take your time. Select the Paintbrush Tool (B) and set it to 0.75 pt. 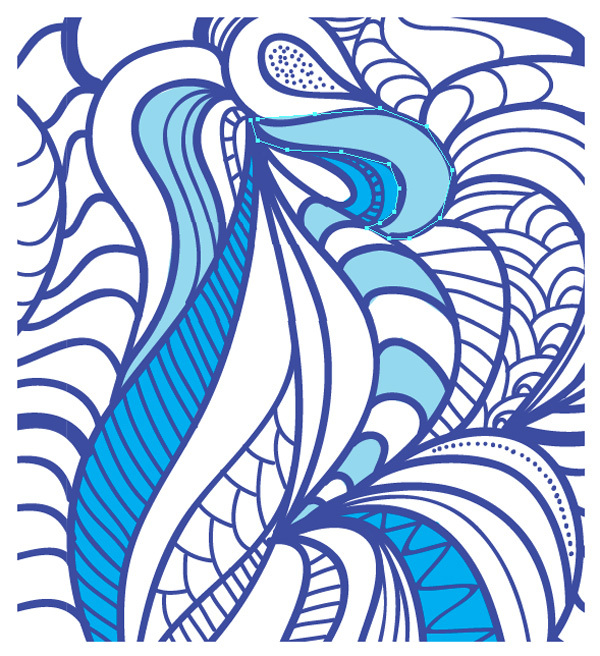 Begin drawing the first section of your doodle using a blue color (#3c4ca1). 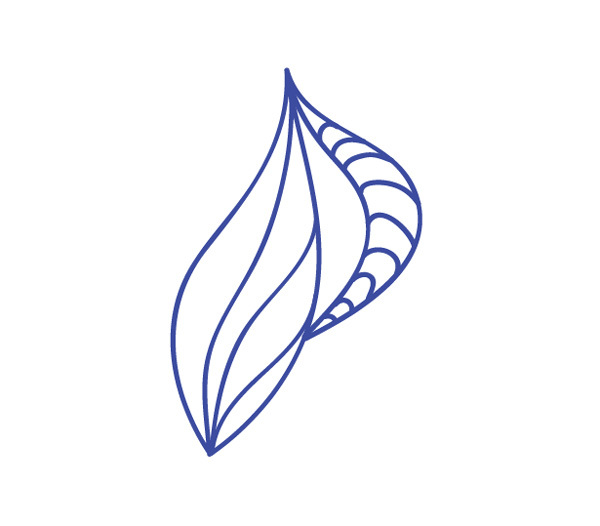 Start off with a recognizable shape like a leaf or circle. 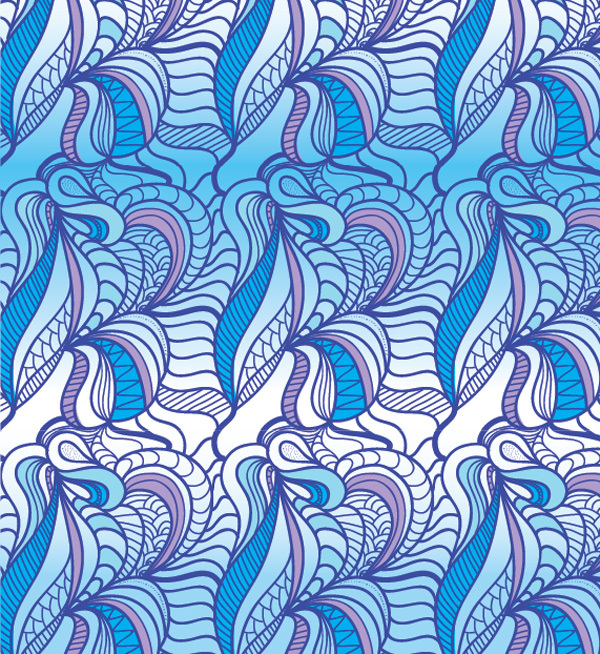 Keep drawing more fluid, loopy shapes for your pattern. 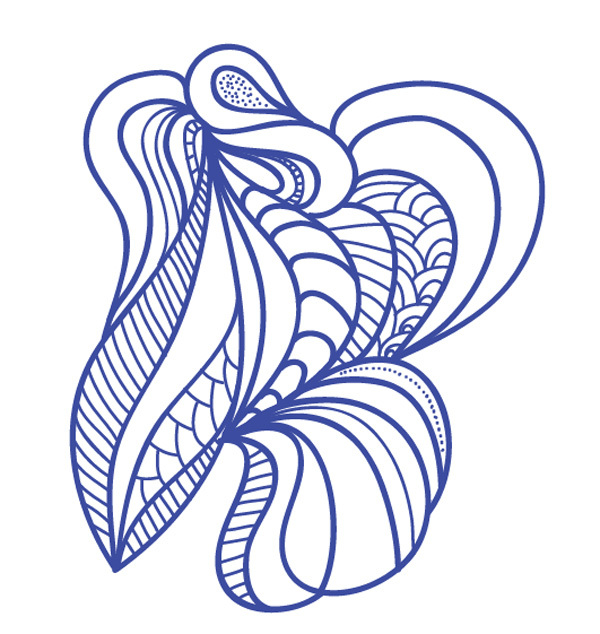 Experiment with the inner shapes by drawing patterns within your pattern. Stripes, polka dots, or scalloped circles work well with this step. As you get further along with your design it’s a good idea to start looking at how it might blend as a pattern. Here you will discover how to create a seamless blend. Use the Selection Tool (V) to select your doodle. Then go to Object > Pattern > Make. Make sure that under the option for Dim Copies it says 100% so that no area of the pattern is lighter than the rest. 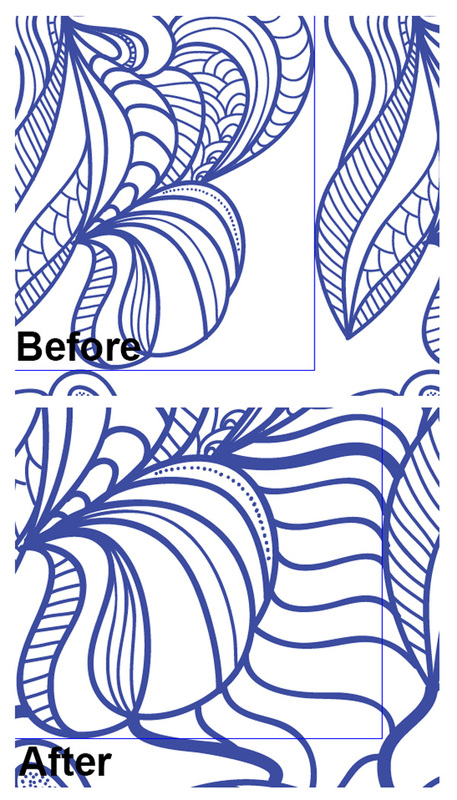 Note: After the pattern is saved in the swatch, create a box to fill the canvas and select the pattern from the swatch tool and fill it as the background pattern (from the flip the background/stroke). Start to connect more lines to other parts of the pattern to create a seamless blend. 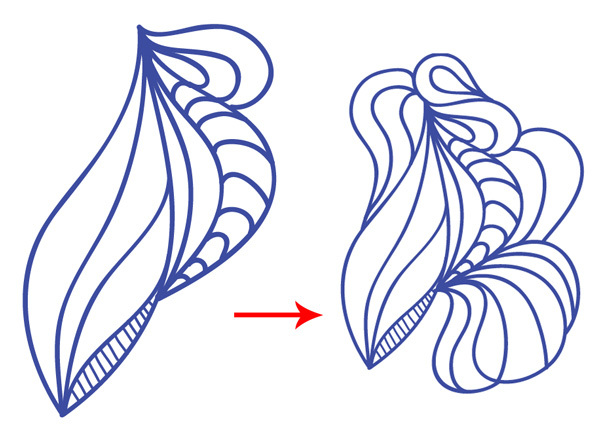 Use the Paintbrush Tool (B) again to draw fluid strokes at 1, 0.5, and 0.25pts. Take this opportunity to also begin adding color to your pattern. 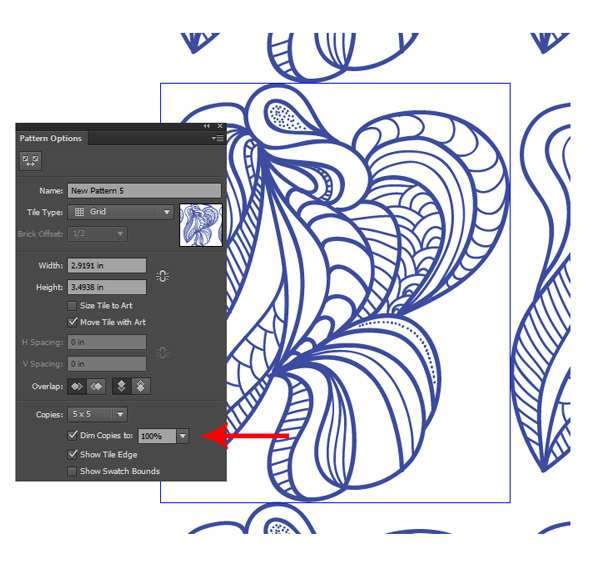 Use the Pen Tool (P) to create colorful shapes underneath your pattern lines for a more interesting color scheme. Here I used various shades of blue and purple to add to the pattern. Once you’re all finished, your pattern will now be saved as a new Pattern Swatch. You can access it at any time to edit the pattern by going to Pattern Options. 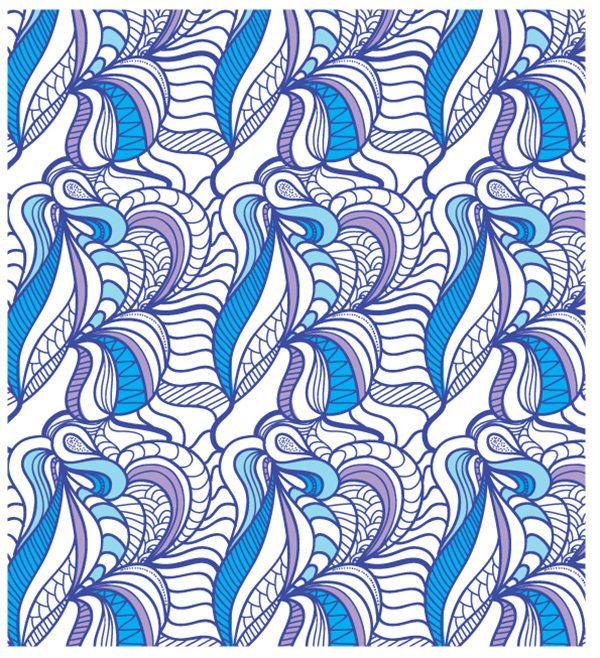 Creating your own doodle pattern is really that simple! Here is the final pattern below. And that’s it! Simple enough right? I hope you’ve enjoyed trying this out! Let us know what you think at the comments below! Good luck!